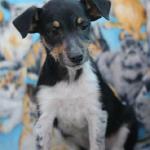 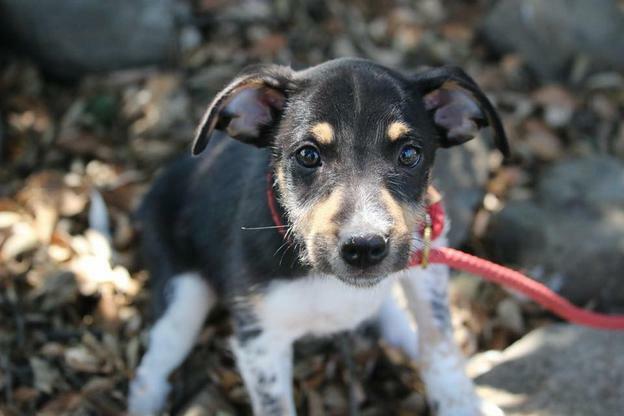 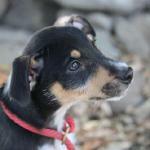 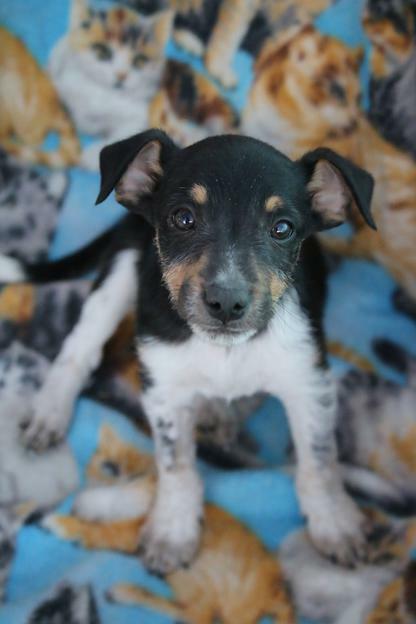 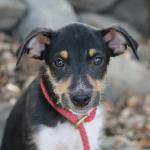 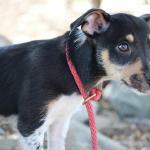 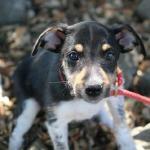 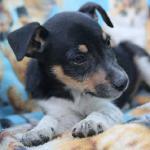 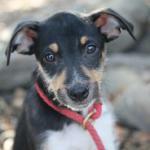 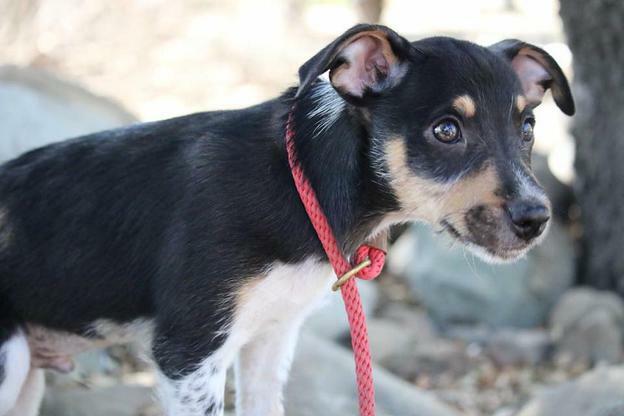 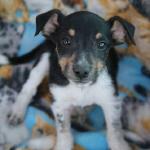 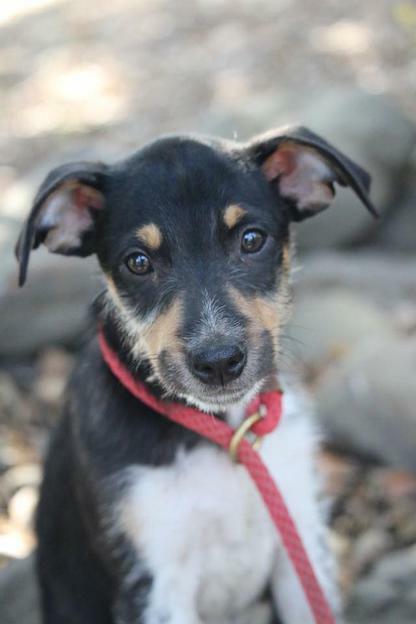 BamBam is one of two terrier mix puppies looking for a new home. 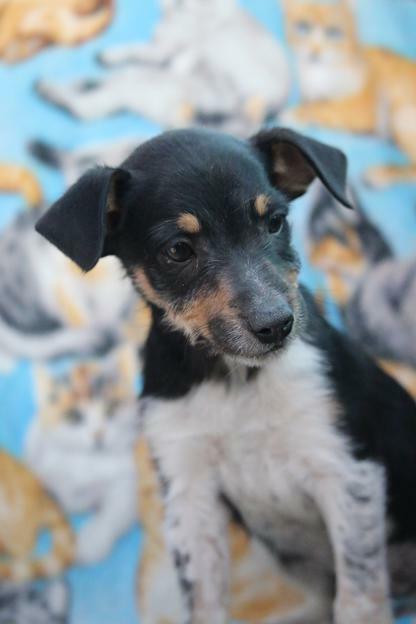 BamBam is a sweet puppy who was born around April 4th, 2018. 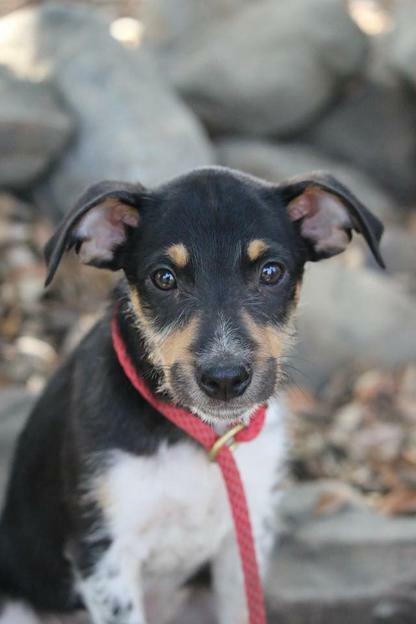 His mother was a terrier mix (approx. 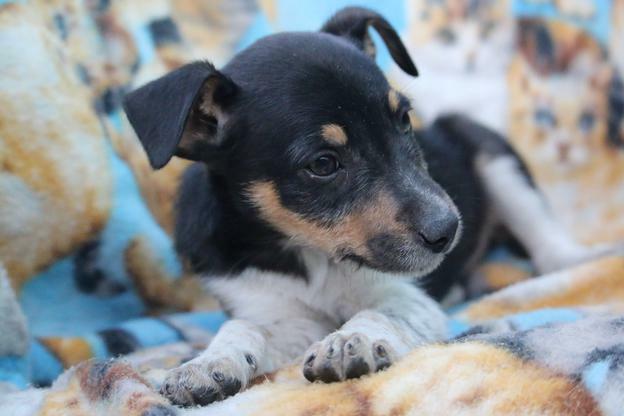 20 lbs) but his father is completely unknown. 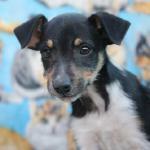 BamBam has some long legs and he's still growing but we don't expect him to be bigger than a medium sized dog. 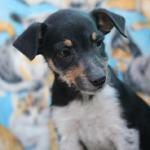 He is affectionate and loving in his own way but he hasn't been traditionally cuddly. 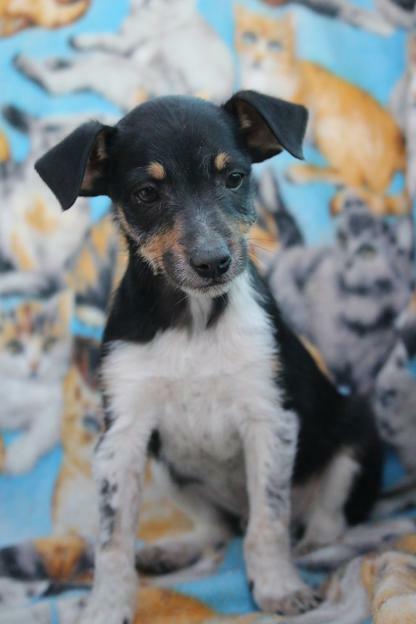 He has an independent side to him so even though he gets along great with other dogs, he will also find a spot to spend some time alone. 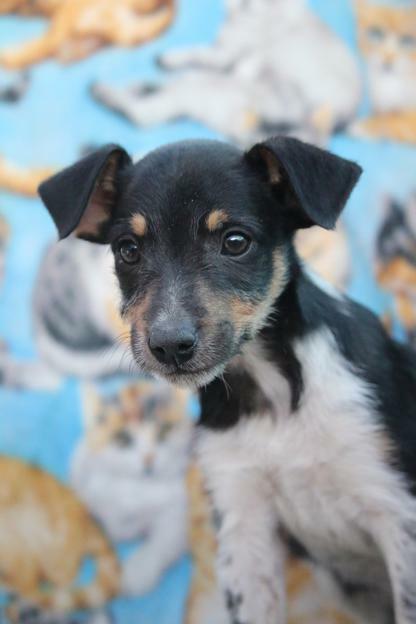 There is a wisdom behind those eyes and something very special and unique about him. 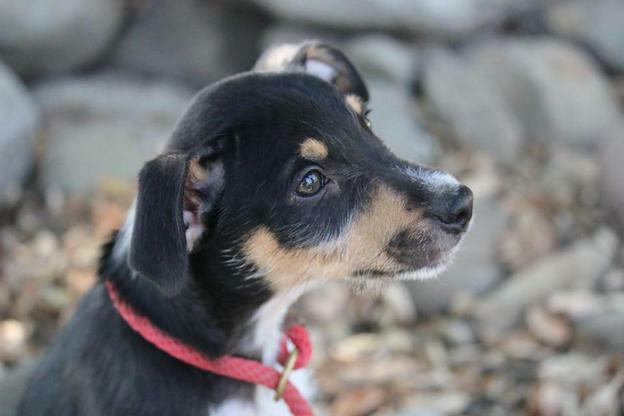 BamBam could be a dog for people with a medium activity level who love to get outside sometimes but who also love a quiet day at home.